The middle of the week already? At least, it feels like I should add "already" to the end of that. Week seems to be going by quickly. As you all know, I'm certainly looking forward to the weekend. Hard to believe it's already the 3rd weekend of the month, which means Board Game Day up at the library. I've had to miss a couple of the previous sessions, so I hope to make it for this one. But if I'm going to have a full day of gaming, I should have a stomach full of bite-sized gaming stories. So let's stock up. 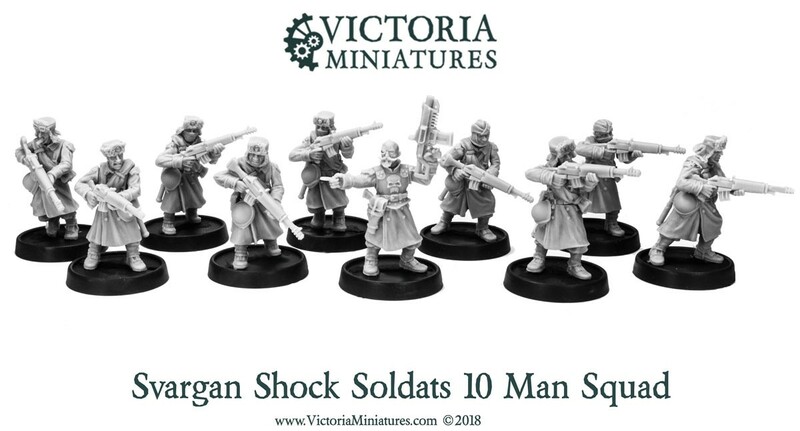 Today on the platter we have: Victoria Miniatures Releases Svargan Shock Soldats, New LRDG Minis Available From Askari Miniatures, and More MYTHEXPLORERS Figures Available From RN Estudio. 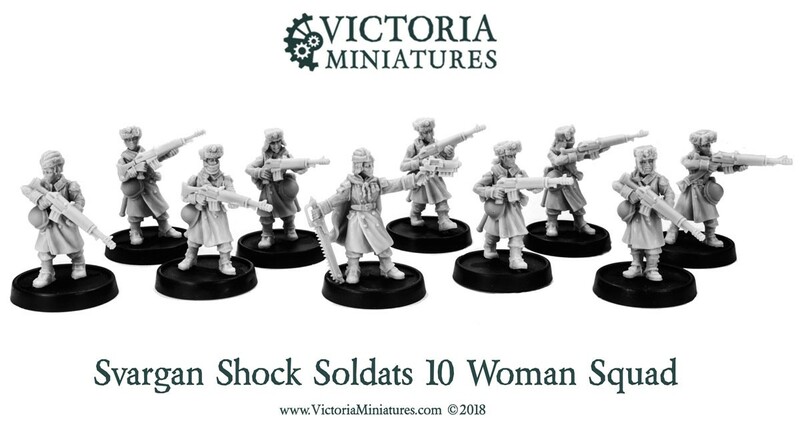 I am thrilled to announce the release of the Svargan Shock Soldats, Victoria Miniatures newest regiment. 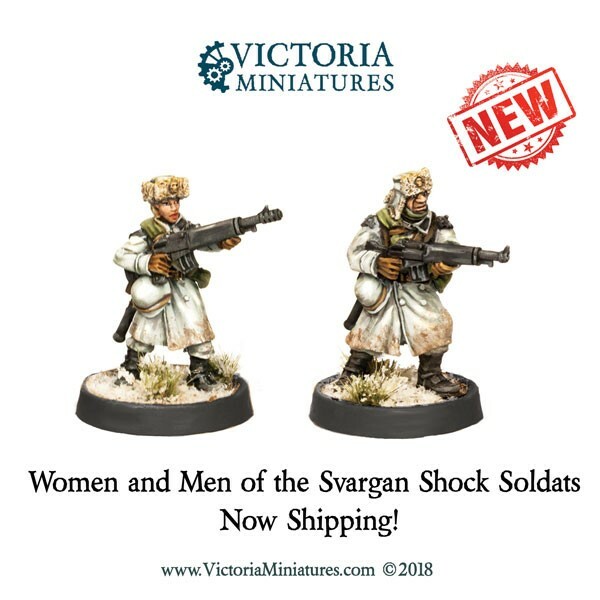 The women and men are available in squads of five and ten troops. More Svargan bits and accessories will become available over the next few weeks. The request was for figures in traditional Arab headgear: a khaki keffiyeh with a black agal. But a wide variety of headgear was worn, among them woolen cap comforters and black berets copied from the Royal Tank Regiment (RTR). 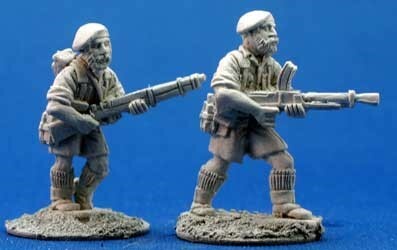 As it turns out, British Commandos wore the wool caps and the berets too. 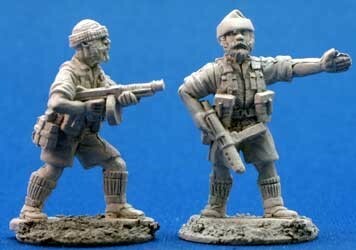 So many of the new figures can be used as LRDG, SAS or Commandos. In addition to the headgear, we modified the weaponry a bit. Photos show more Thompsons and pistols than usual, so more of our figures carry those. We also figured that these troops wouldn’t be using bayonets so we removed them from the remaining Lee-Enfields. We also made what has become my favorite, a team of “road watchers.” The main missions of the LRDG were mapping and reconnaissance. So we have a set of four figures, all with binoculars, two standing and two lying behind cover. 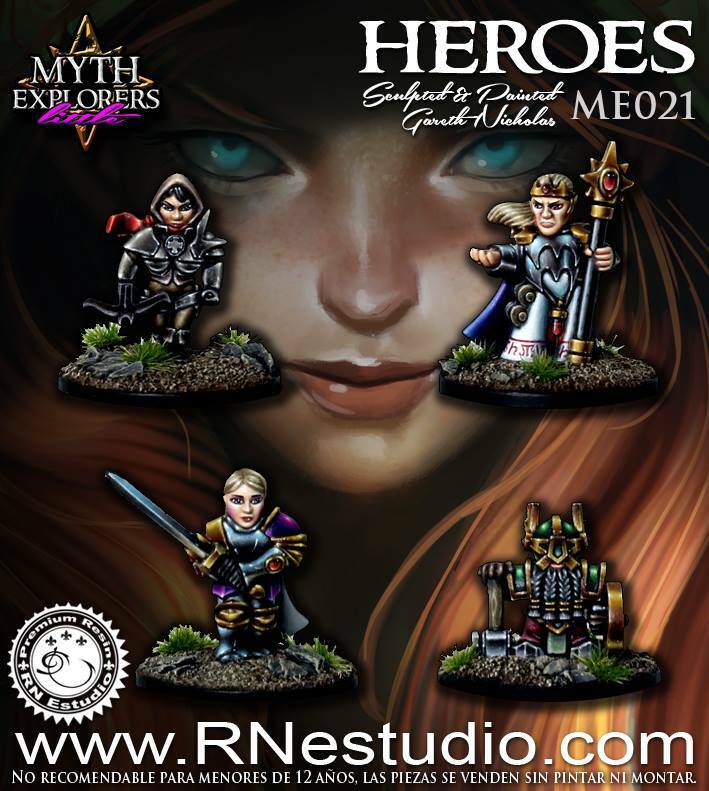 And that’s how a customer’s simple request became a release of 30 new figures in 4 sets. Enjoy! our new MYTHEXPLORERS little line! 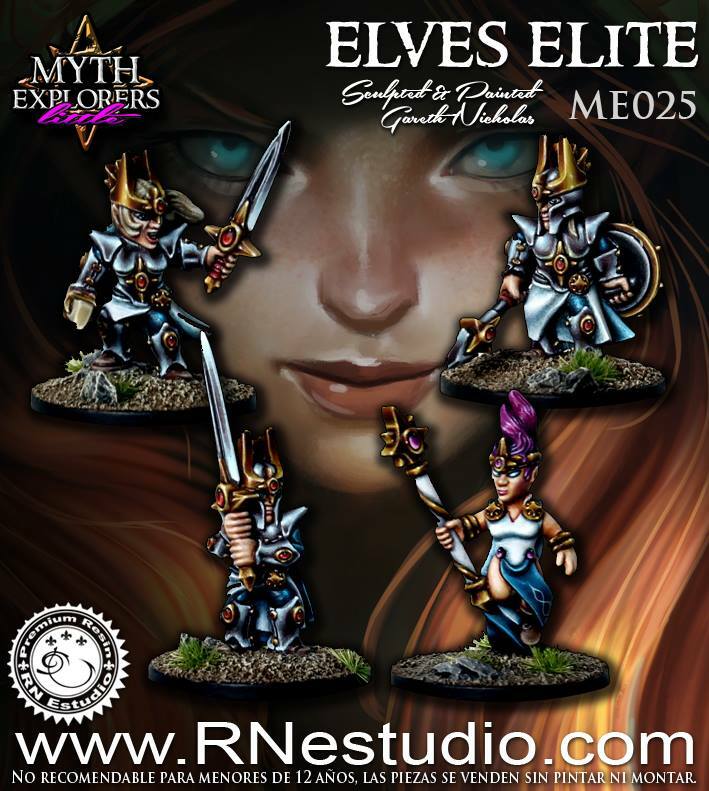 Upgrade your RPG experience with premium miniatures. 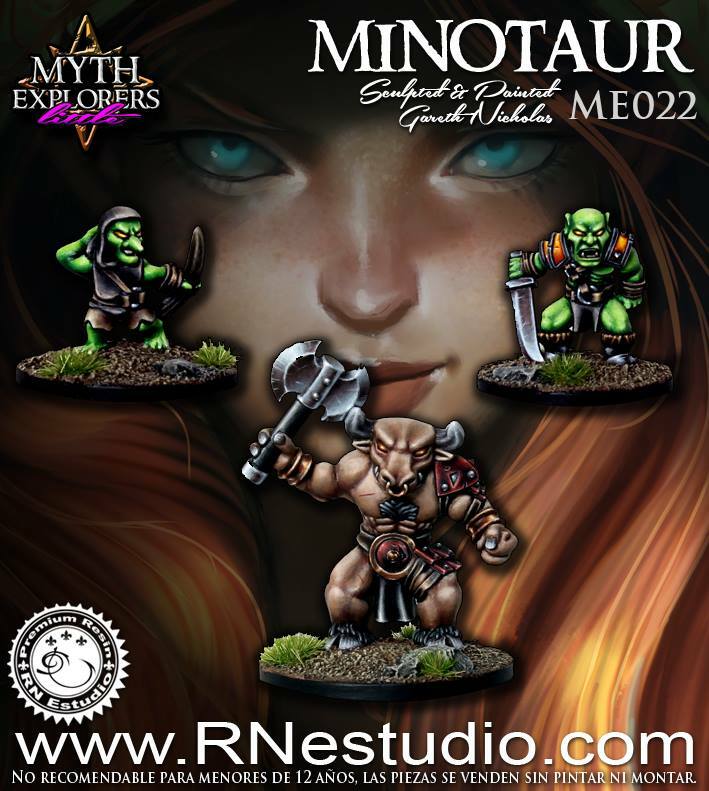 15 mm scale, finest quality, hard resin miniatures.